Resolution 2/12 on sustainable coral reefs management was adopted at the second session of the United Nations Environment Assembly (UNEA-2) in May 2016. The resolution, inter alia, calls for initiatives, cooperation and commitments to conserve and sustainably manage coral reefs, including cold-water coral ecosystems and mangroves; recognizes that education, capacity-building and knowledge transfer is crucial; and encourages integrated, ecosystem-based and comprehensive approaches including partnerships with industry, as well as establishment of MPAs and other spatial and relevant sectoral approaches to enhance climate change resilience. The resolution further requests UNEP to pursue a number of specific actions, inter alia in relation to awareness raising; knowledge transfer; coral reef climate change resilience; coral reef policy instruments; development and implementation of national or regional measures and action plans; and development of indicators and assessment of coral reef status and trends. The resolution provides direction for coral reef policy and management in the context of the 2030 development agenda, and has implications for UNEP’s coral reef work. 3. Identify key needs (technical, operational, financial) in implementation of the resolution and provide recommendations on addressing such needs. This temporary site for the UNEP Coral Reef Unit is under redevelopment. Current content is thus not up to date, not comprehensive. The updated site will be made available shortly. The Coral Reef Unit (CRU) was established by the UNEP Executive Director in 2000 to coordinate UNEP’s work on coral reefs, with further direction provided by the UNEP Governing Council through decisions 19/15; 20/21 and 21/5. As of 2011 the Coral Reef Unit operates under the Freshwater and Marine Ecosystems Branch of DEPI, located at the UNEP Regional Office for Asia and the Pacific in Bangkok, Thailand. The Coral Reef Unit works in partnership with Regional Seas programmes and other institutions on joint development of tools and methods that enable ecosystem based approaches to coral reef management; regional and national level policy support and demonstration projects to facilitate adoption and uptake; as well as capacity building and networking to promote exchange of best practice. 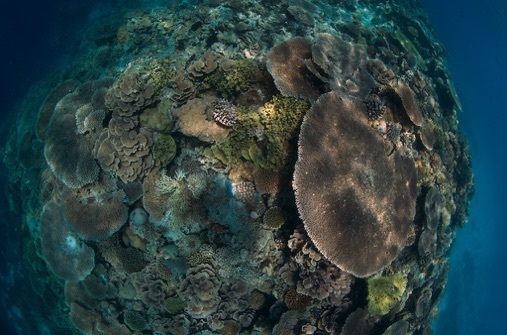 The Coral Reef Unit also represents UNEP in the International Coral Reef Initiative (ICRI). Activities of the Coral Reef Unit contribute in particular to the implementation UNEP’s subprogramme Ecosystem Management, but also makes contributions to subprogrammes on Climate Change and Environmental Governance.